With White or Golden coating inside the tins. Both can protect the tins from rusting! With Silver or Golden color on top of tin and bottom of tin. 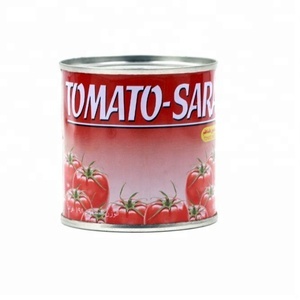 Jiaxing Sanzhenzhai Food Co., Ltd.
Tianjin Huawang Tomato Co., Ltd.
Tianjin Dunhe International Trade Co., Ltd.
Sino Tomato Products (Bayannur) Co., Ltd.
Jiangxi Bailin Industry And Commerce Co., Ltd.
1. Raw material: fresh ripe tomatoes. 3. Packing : Inner packing: Tin/glassbottle/stand-up pouch; Outer packing: Carton 4. Opening: easy open/normal open. 5. Concentration: as per customers' requirements. 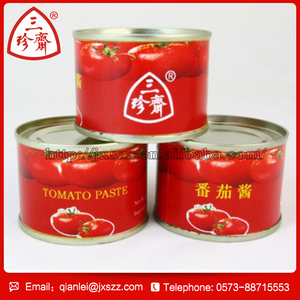 Ningbo Tongqianqiao Food Development Co., Ltd.
Kenale only cho oses the f inest freshest and reddest tomatoes to manufacture our canned tomato paste. 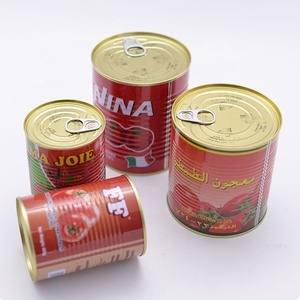 The package of our canned tomato paste can be customized. 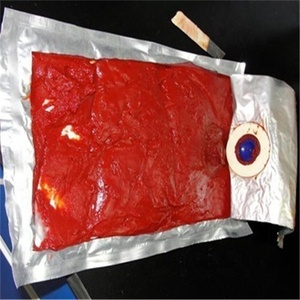 Our factory is very close to the seaport, the transportation is very convenient. 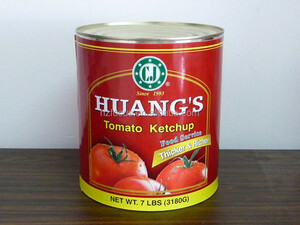 Huanghua Furuide Tomato Products Co., Ltd.
Xinjiang Kunlun Tiller Group Ltd.
Chongqing Xinmeijin Trade Co., Ltd. 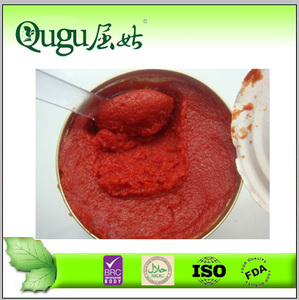 The products are mainly tomato paste, apricot puree concentrate , Apple Juice Concentrate , food additives and chemical products. 1. 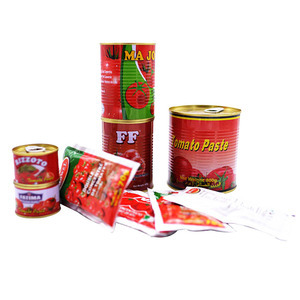 The products we export are in line with international food standard and enjoy a high reputation in the international market. Our products are supplied to many users in Europe, USA, Middle east,Southeast Asia and more than 40 countries. 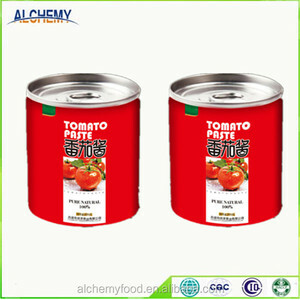 Alibaba.com offers 983 canned tomato paste 28-30% brix products. About 81% of these are sauce, 15% are canned vegetables, and 1% are food additives. 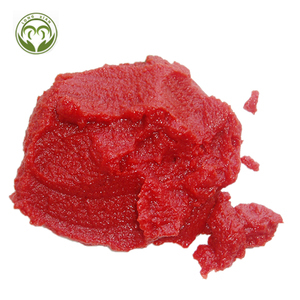 A wide variety of canned tomato paste 28-30% brix options are available to you, such as fda, haccp, and brc. You can also choose from ketchup, pastry sauce, and tomato. As well as from pasty, solid, and liquid. And whether canned tomato paste 28-30% brix is sauce, or food. 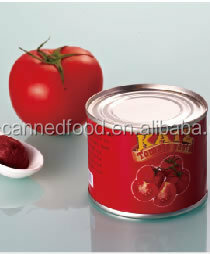 There are 965 canned tomato paste 28-30% brix suppliers, mainly located in Asia. 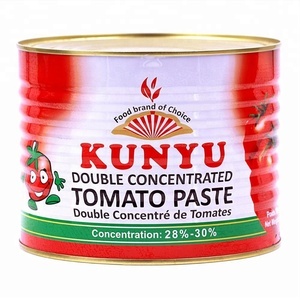 The top supplying countries are China (Mainland), South Africa, and Thailand, which supply 94%, 1%, and 1% of canned tomato paste 28-30% brix respectively. 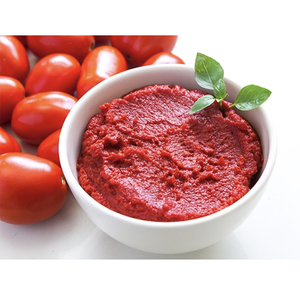 Canned tomato paste 28-30% brix products are most popular in Mid East, Africa, and South Asia. 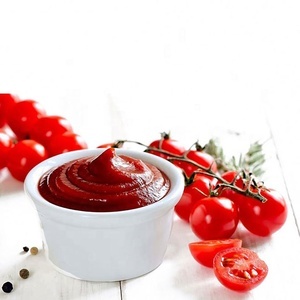 You can ensure product safety by selecting from certified suppliers, including 192 with ISO9001, 185 with Other, and 135 with HACCP certification.